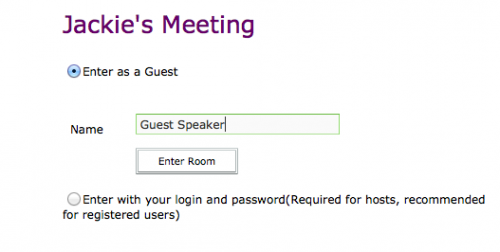 Send your guest speaker the link to your meeting room. Instruct them to log in as a guest. 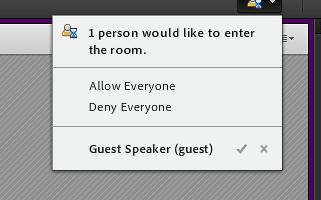 Once they enter the room, instruct them to follow the on-screen prompts to connect to the meeting audio conference. We recommend connecting via phone for the best audio quality. If your guest speaker would prefer to connect via computer microphone, we strongly recommend a headset. 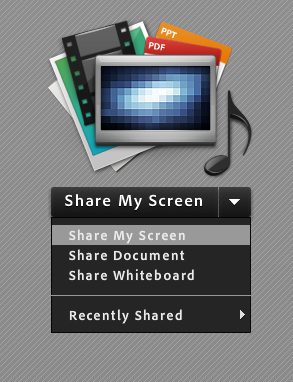 Ask your guest speaker to use the “Share My Screen” controls to share their presentation or desktop. Direct your guest speaker to this page for the Adobe Connect diagnostic test. Note that this test does NOT test audio settings, which is where some of the most common Adobe Connect issues occur. 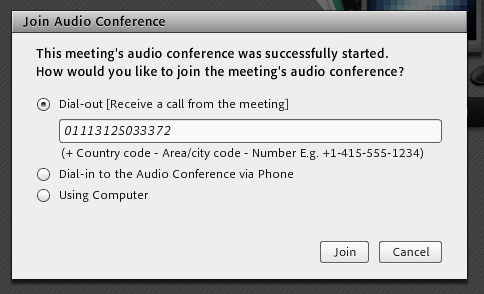 Set up a test session with your contact on the distance learning team prior to the meeting. If possible, you and your guest speaker should both attend the test session. If not, you can put your guest speaker in contact with your distance learning contact. The distance learning representative will walk your guest speaker through any issues they have connecting to the meeting. Provide an introduction and/or biography of the guest speaker, as well as a meeting agenda, in your course site ahead of time. Collect questions from your students and send them to the guest speaker prior to the meeting. Ask your guest speaker prior to the meeting how they plan to use Connect and ensure that they know how to use all of the functions they need to. Offer to monitor the Chat or Q&A Pod for the guest speaker. If you and your guest speaker would like, you can enable the Presenter Only area to communicate privately during the meeting. 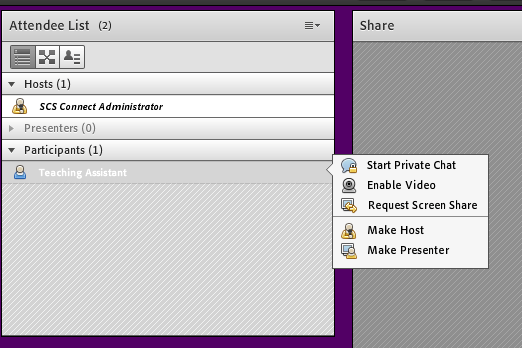 Note that your guest speaker will not be able to see the Presenter Only area if they are sharing their desktop.